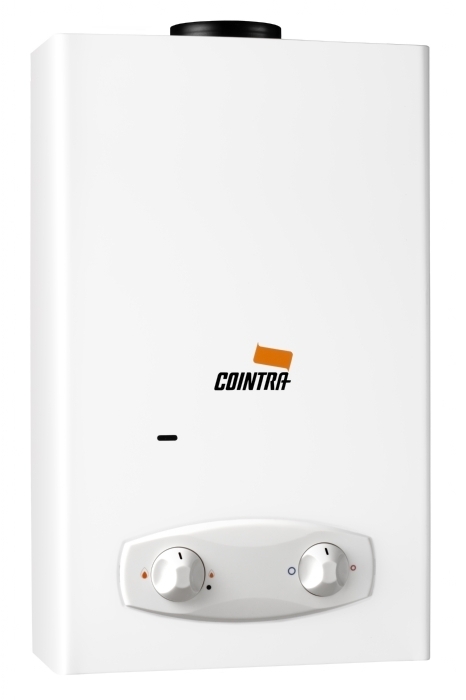 The OPTIMA instantaneous water heaters, with no pilot light, offer great performance at that size that was unthinkable until today. Due to its small size it will fit in any space, no matter how small. The can even fit in a shoe box. 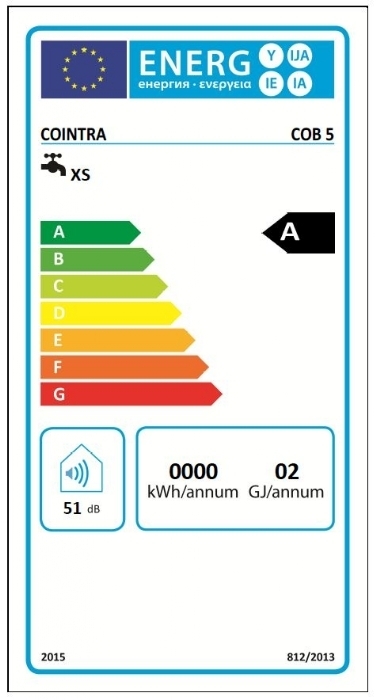 The Optima's small size offers importants benefits to its users and to installers alike. It will in any space! The small size of these appliances, with its smallets depth available on the market, 129 mm, enables installation in small spaces. The small size attributes to better handling, making it easier for the installer to install the appliance. 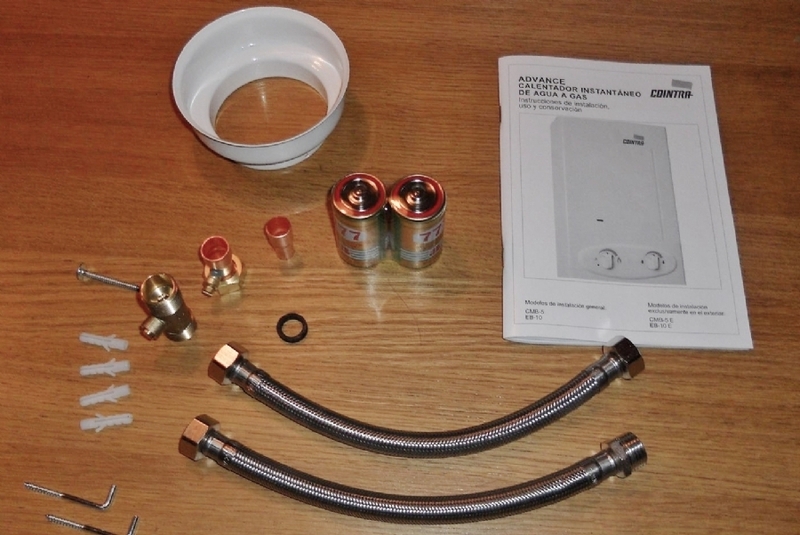 The Optima COB-5x is sold with accessories such as two stainless steel water hoses, batteries, connection adapters for the most commonly used gas - and water connections and a mounting set. The instantaneous water heater may only be installed outdoors. The battery operated ignition switches on as soon as water flows through the unit. This means no pilot light. The instantaneous water heaters are completely safe and admitted in the whole of Europe. 5.1 liters of water per minute. Gas consumption 0.32 - 0.79 kg per hour. Up to 65 degrees Celcius. Minimum water pressure 0.6 bar. Dimension 450 x 280 x 129 mm. 1/2 inch gas - and water connections.